What Factors Affect Thyroxine Dosage? Thyroid function decreases with age, which may lead to progressively higher doses of thyroxine. Age may result in decreasing thyroid function. Low levels of thyroid hormone, also known as hypothyroidism, is usually treated with thyroxine sodium. This is also known in some countries as levothyroxine sodium. The thyroxine dosage is determined by the prescribing doctor after measuring the thyroid hormones in the body. Some concomitant medications may affect dosage, and it may also need to be altered over time due to age-related changes in hormone levels. Pregnancy may also affect levels, and thyroxine dosage adjustments may be necessary during this time. 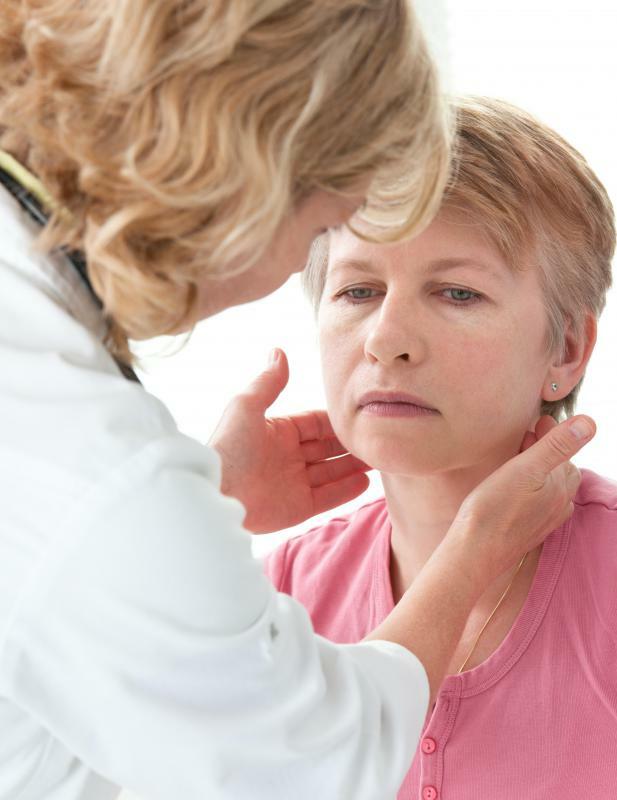 Hypothyroidism is most commonly seen in older women, although it can occur in younger women and men. 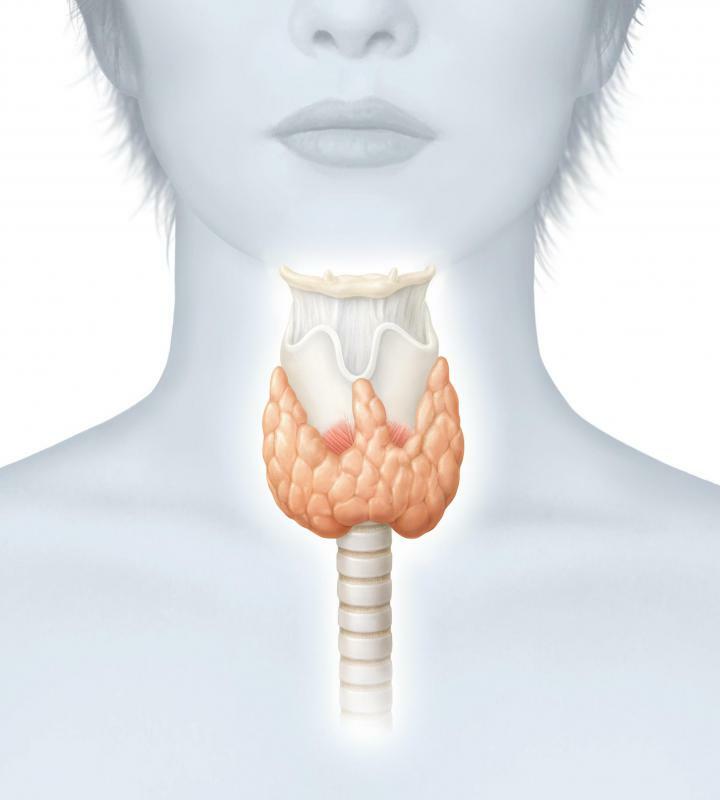 The thyroid gland, located in the neck, produces hormones that are essential for normal metabolic processes in the body. If production of these hormones is diminished, metabolism slows. This is normally a gradual process and presents with numerous possible symptoms, including sluggishness, fatigue, unexplained weight gain and depression. Diagnosis is fairly simple and is done by measuring the thyroid hormones in the blood. The intrinsic level is the main factor affecting thyroxine dosage. The lower the intrinsic level is, the worse the natural thyroid function and the higher the supplemental thyroxine dosage. In most cases, decreased thyroid function will not improve, so thyroxine therapy will be necessary on a long-term basis. Age may result in decreasing thyroid function, necessitating an increase in thyroxine dosage over time. Regular blood tests will be done to monitor thyroid levels throughout treatment. This is also done to prevent the thyroxine dosage from being too high, as this can result in unwanted adverse effects. Pregnancy may affect the levels of intrinsic thyroid, and thyroxine dosage may need to be adjusted in this case. Regular monitoring of the thyroid levels is recommended throughout the pregnancy, and levothyroxine dosage must be adjusted accordingly. After the baby is born, it is likely that thyroid levels will return to those prior to the pregnancy, so dosage adjustment may again be necessary. As with any medication, thyroxine may be affected by other drugs being taken. Some anti-epileptic medications, antiretrovirals or TB medications may decrease the levels of thyroxine by increasing its metabolism. The thyroxine dosage may need to be increased while taking these medicines and adjusted if the dosage is changed or the concomitant drug is stopped. Some drugs, such as antacids, may affect absorption of the thyroxine and should not be taken at the same time of day. What Are the Concerns about Levothyroxine in Pregnancy? What Are the Uses of Levothyroxine for Dogs? What Factors Affect Thyroxine Levels? In the Body, What Is the Role of Thyroxine? What Are the Effects of High Thyroxine Levels? What Are the Functions of Thyroxine?